We’ve just updated our Lettuce Varieties List for 2017, removing ones that didn’t do well last year, highlighting ones that did do well, and checking which dates work for which varieties in our climate (central Virginia, cold-hardiness zone 7). 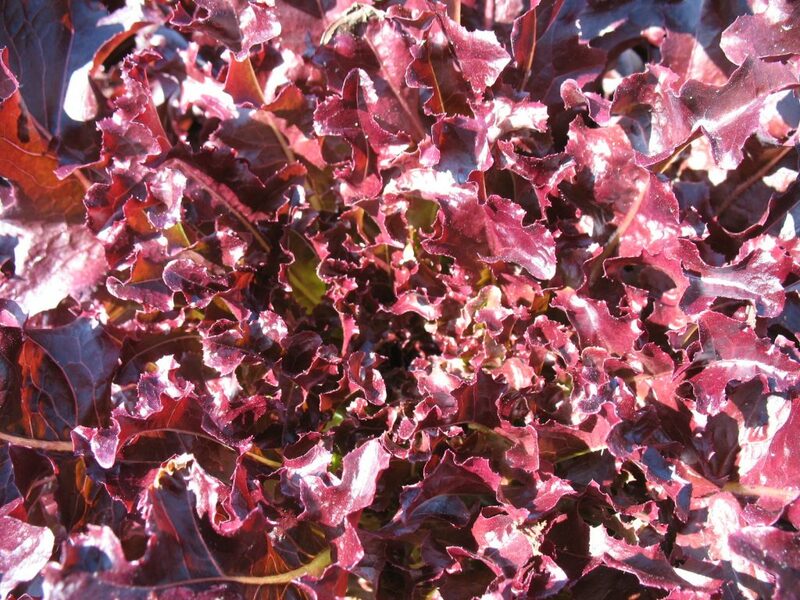 Reliable Red Salad Bowl lettuce, one of our stand-bys. Young Parris Island romaine lettuce. 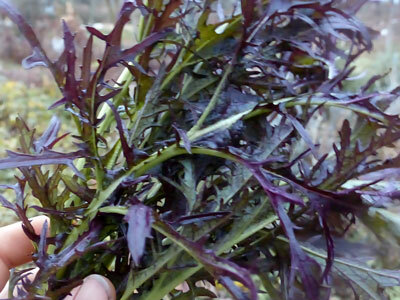 When I posted my Lettuce Varieties for January article, Wanda commented on the great varieties available from Frank Morton at wildgardenseeds.com. 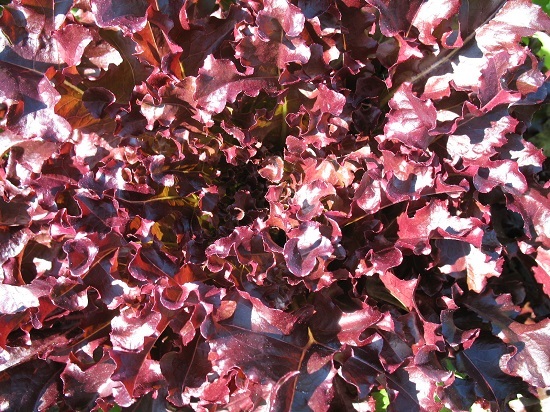 They do have some wonderful lettuces, so I’ve included a couple of pictures of their varieties that we grow, above. I’m short of time today, I’m getting ready for the Southern Sustainable Agriculture Working Group Conference. Check out my Events page for more about what I’m doing there. Two brand new workshops, and book signing. I hope to see some of you bringing your dog-eared and mud-splattered copies of Sustainable Market Farming for signing on Thursday evening. I’d love some photos of well-used copies of my book! Maybe you aren’t ready to think about sowing lettuce, but I am! 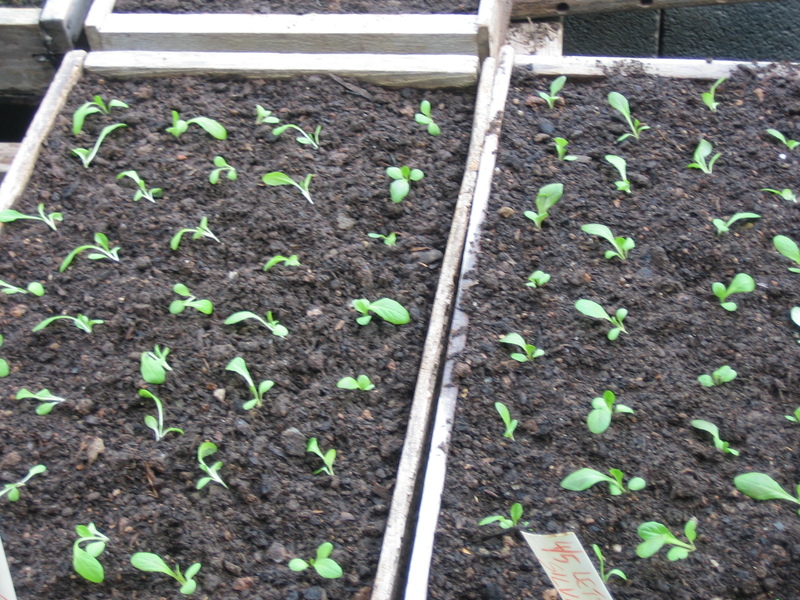 In mid-January we sow a flat of four lettuce varieties, to become our first outdoor transplants. I like to choose four varieties that cover the range of colors and shapes. I also like to choose hardy types that are fast-maturing. 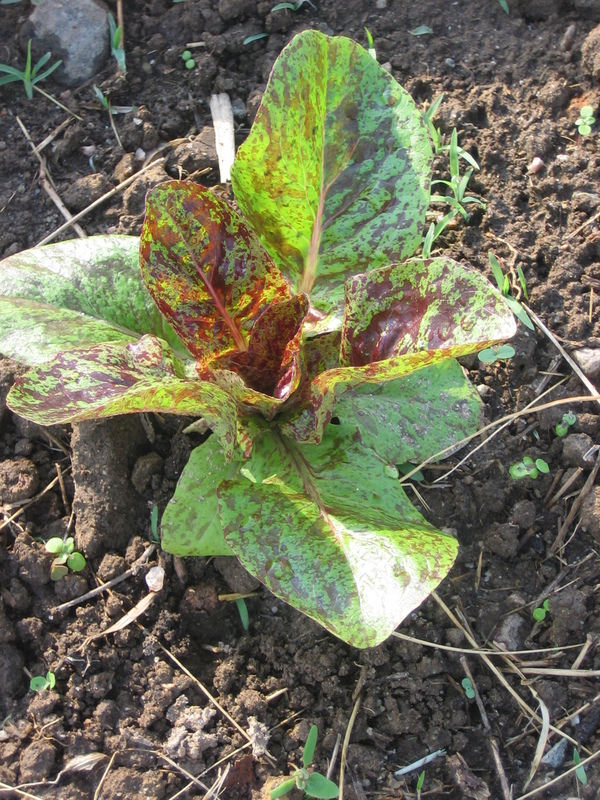 Buttercrunch green bibb lettuce is one of my favorites for early spring. 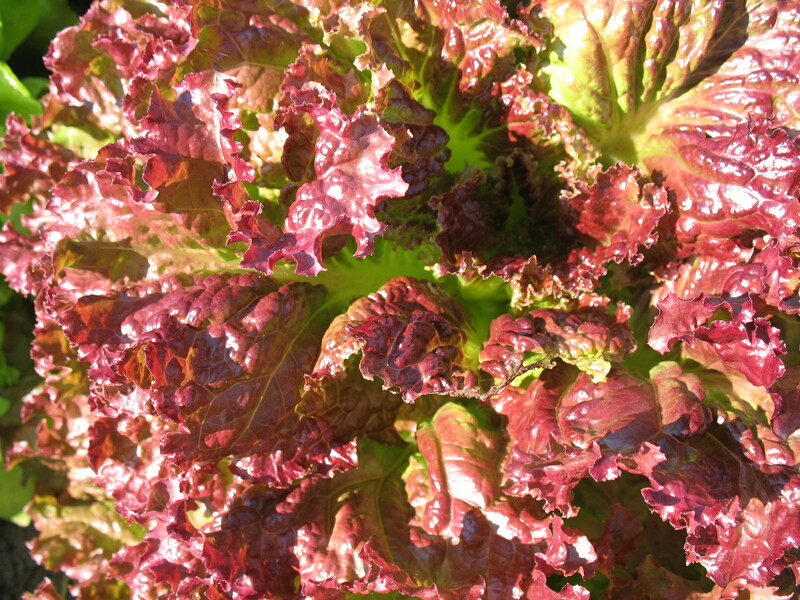 One of the Salad Bowl lettuces, red or green, is also usually in my first sowing. The Salad Bowls are so reliable and productive! New Red Fire has become another reliable lettuce stand-by for us. 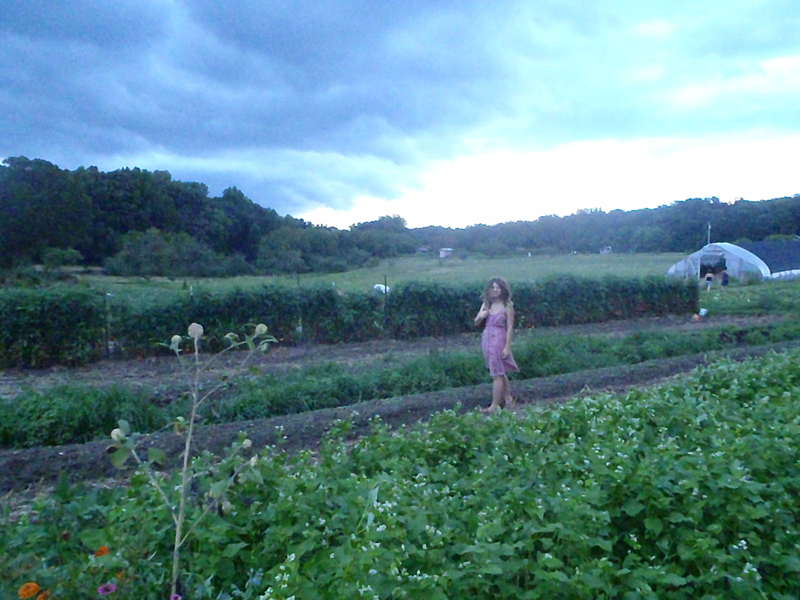 It was suggested to me by neighboring Virginia farmer, Gary Scott of Twin Springs Farm. 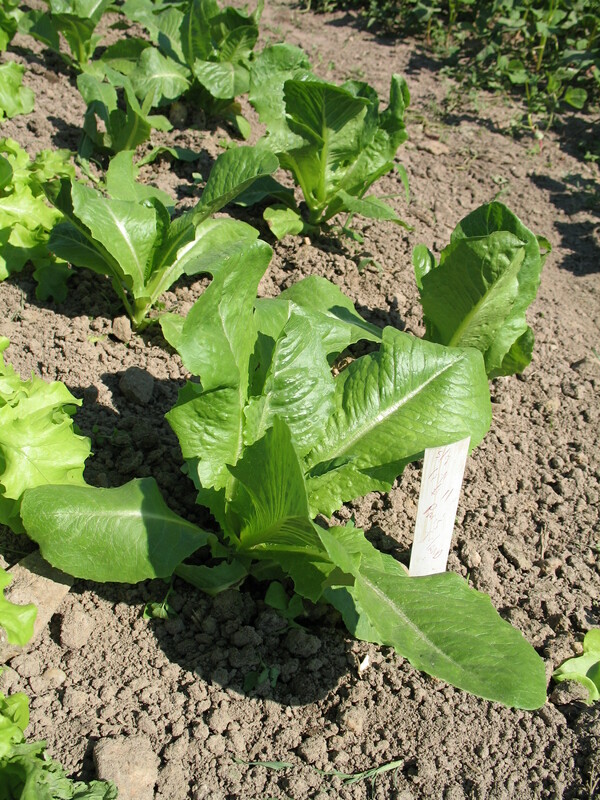 It is more of a leaf lettuce, and doesn’t really head up, although it can be cut as admittedly lightweight heads. And it works fine as a leaf lettuce, to be harvested by the cut-and-come-again method. We grow New Red Fire year round, it’s that adaptable and easy-going. 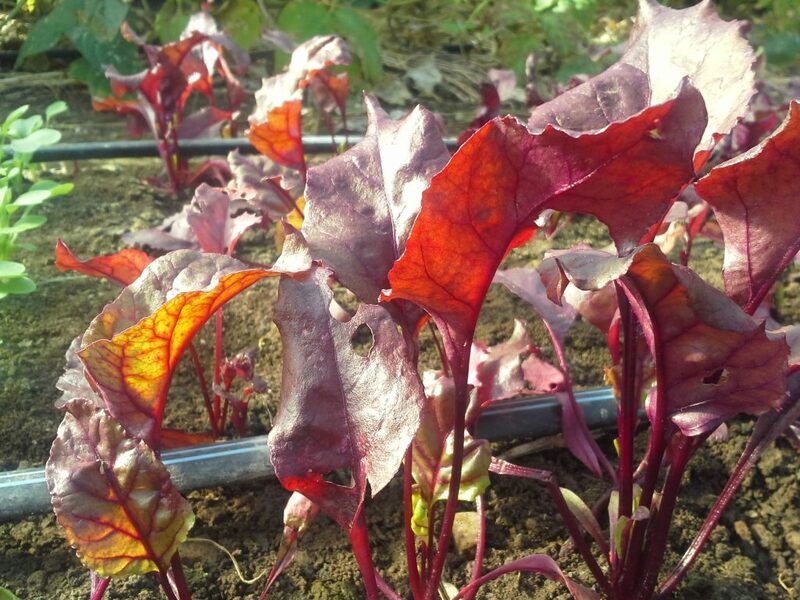 After last year’s success with Sword Leaf lettuce, which I wrote about last May, we have added this variety to our list of favorite lettuce varieties. But if I start those four, I won’t have a romaine and will have only one red. We haven’t found many good full-size red romaines. Rouge d’hiver is a possibility, although I wonder if it would bolt too easily (it’s more famous for growing in winter). A better choice might be Bronze Arrow (it worked well last year and we were harvesting it in early May). 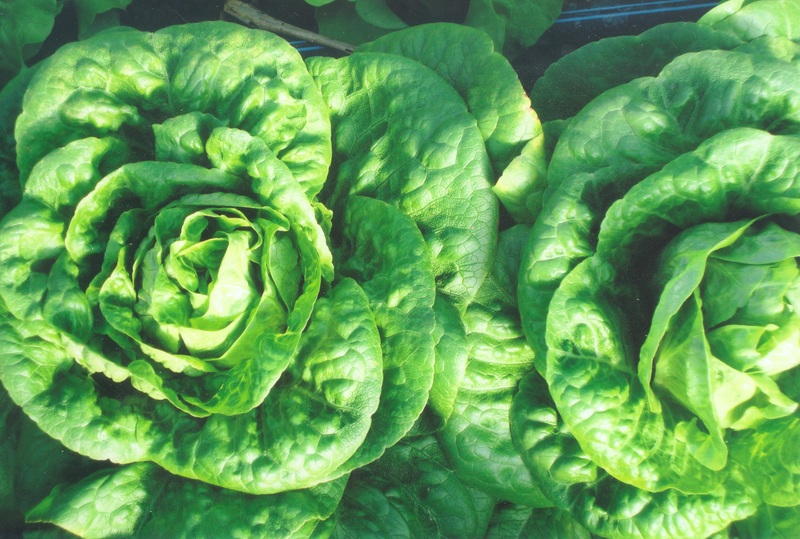 We expect/intend/plan to start harvesting heads of lettuce outdoors starting 4/15. Before that we will harvesting the lettuce in the greenhouse and the hoophouse. 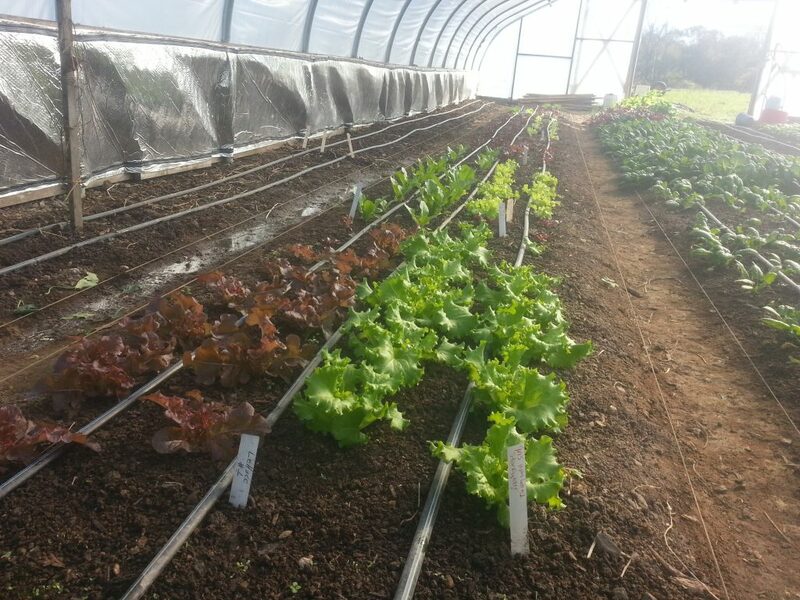 As you see from the top photo, we grow our outdoor lettuce as bare root transplants, starting in open flats. I’ll write about bare root transplants next week. 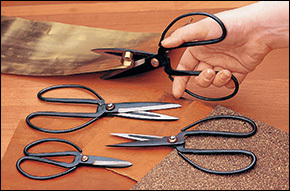 We find it an easy, forgiving method for many crops. For now, I’ll just talk about the lettuce. We sow in 3″ deep open wood seed flats, 12″ x 24″. We make four little furrows by pressing a 12″ plastic strip (aka a ruler!) into the seed compost. We sow the seed, label it, cover it lightly, water, then put the seeded flats in our germinator cabinet. The first flat of the year takes about 9 days to germinate. According to tables in Nancy Bubel’s Seed Starter Handbook and in Knott’s Vegetable Growers’ Handbook available free online as a pdf here, lettuce takes 7 days to germinate with a soil temperature of 50F (10C) or 15 days at 41F (5C), and only 4 days at 59F (15C). 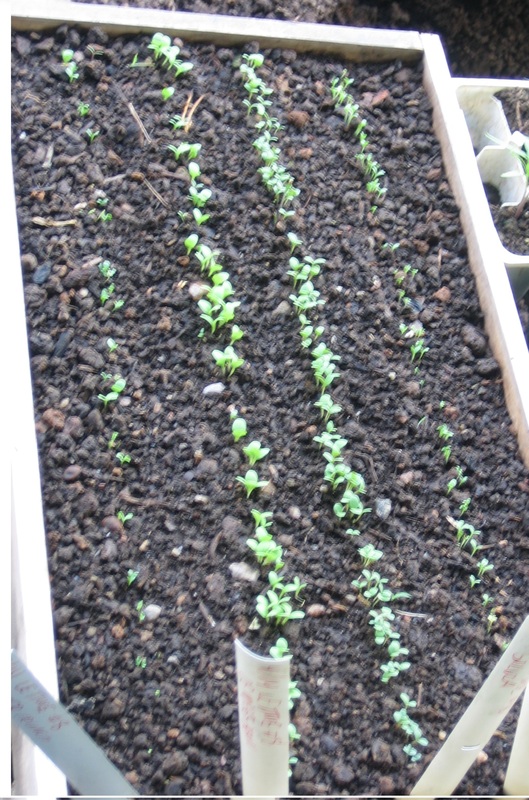 Lettuce seedlings spotted out into deep flats. We aim to harden off the lettuce for two weeks in the cold frame before transplanting into the garden beds with thick rowcover on hoops to protect the lettuce from the still-cold outdoors. 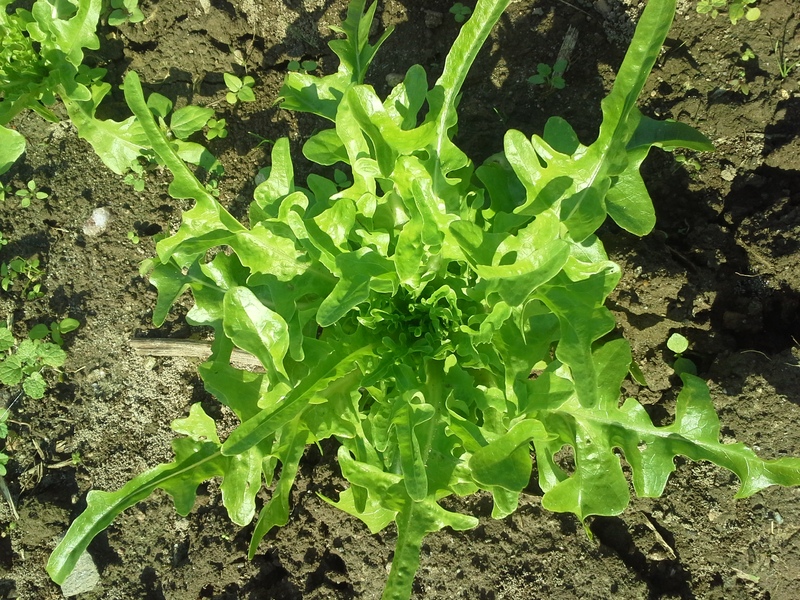 To be ready for harvest 4/15, these seeds have to become full size lettuces in 88 chilly days. We make a second sowing on 1/31. The intervals between sowings at the beginning of the year are long, because later sowings will to some extent catch up with earlier ones. Almost all crops grow faster in warmer weather (up to a point). We sow lettuce twice in February (every 14 days), then every 10 days in March, reducing the interval down to every 6 or 7 days by the summer. As far as varieties go, we think of The Lettuce Year as having 5 seasons: Early Spring January – March, Spring April 1 – May 15, Summer May 15 – Aug 15, fall August 15 – September 7 and Winter September 8 till the end of September and our break from sowing lettuce. Some of the early spring lettuce varieties will bolt prematurely here if sown after March 31. Examples include Bronze Arrow, Freckles, Merlot, Midnite Ruffles, Oscarde and Panisse. Freckles lettuce has to be sown here before the end of March, or it bolts prematurely. 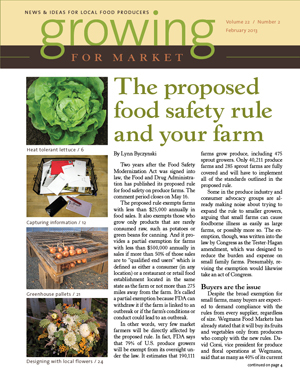 Growing for Market February issue is out! So is USDA Climate Change Report! The February 2013 issue of Growing for Market magazine is now available, including my new article Making Good Decisions Under Pressure. 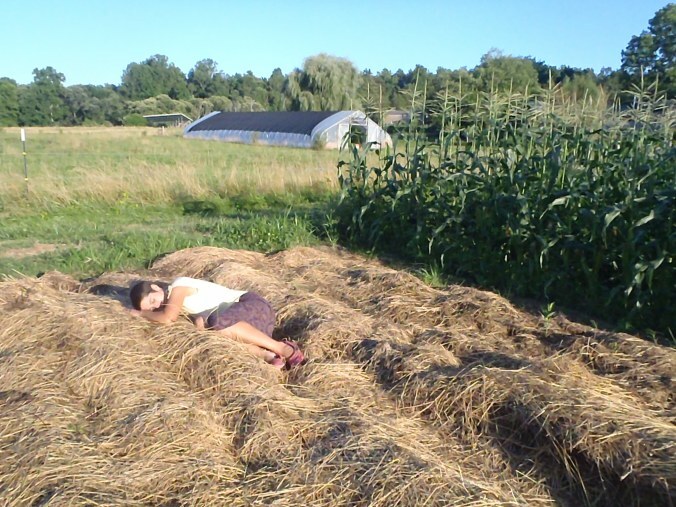 This is the fourth article in my series about being resilient, understanding what’s going on with the plants and the weather, and knowing when to take action, is about tools to help busy farmers with complex decisions that have to be taken quickly. The middle of a hot field in mid-afternoon of the day you need to plant is not the best place to make a hard decision. It’s better to have a framework in place to lean on when the going gets tough. I talk about various decision-making techniques, clarifying whose job it is to make each decision, what resources are available, and what the impacts of the decision might be. If that sounds abstract, I also include our sad chart “Can’t Do It All 2011”. In early March that year, we realized we had nothing like enough experienced workers. We were looking at an overwhelming amount of work. We made a list of labor-intensive crops for possible cuts. The main point was to save us time, not just cut crops we personally disliked! We noted the decision date by each crop on the list. As each date approached we reviewed our situation. This method enabled us to make one decision at a time, in a straightforward way, and not go insane. Such a list is helpful for many types of calamity. It leaves the door open for possible upturns of fortune later in the year. It’s less distressing to take one bite at a time than to take a big decision when you already are struggling to cope with some big bad thing having happened. • An urban flower farmer builds a flourishing business in weddings, an interview with Jennie Love by Erin Benzakein. Also newly arrived is the Report Climate Change and Agriculture in the United States: Effects and Adaptation (USDA Technical Bulletin 1935). I wrote about this in my post following the CFSA conference in October, where I attended a gripping workshop by Laura Lengnick, one of the authors of this report. It has 193 pages, and when I’ve read it, I’ll review it. Chapters include An Overview of U.S. Agriculture, An Overview of the Changing Climate, Climate Change Science and Agriculture, Climate Change Effects on U.S. Agricultural Production, Climate Change Effects on the Economics of U.S. Agriculture, Adapting to Climate Change, Conclusions and Research Needs, and various appendices.